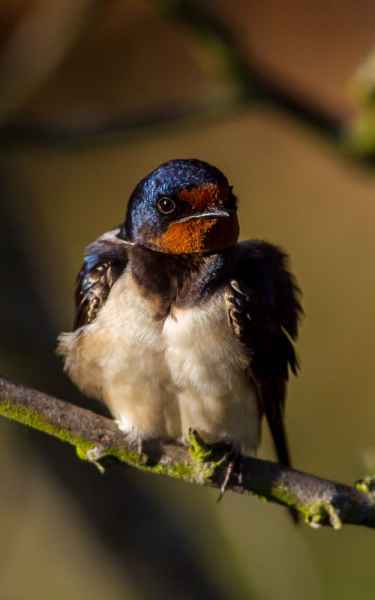 A summer visitor, but an early one as the first of our Barn Swallows normally turns up in late January. 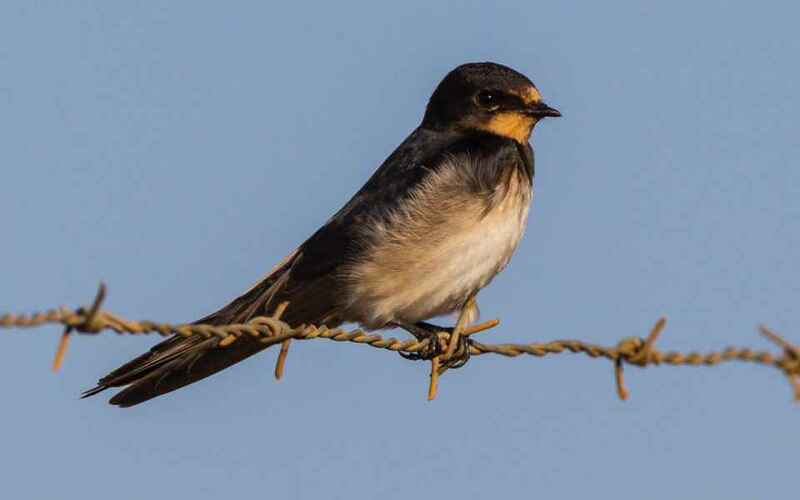 It breeds in the vicinity of man, building an open, cup-like nest made of mud stuck to a high vertical surface. 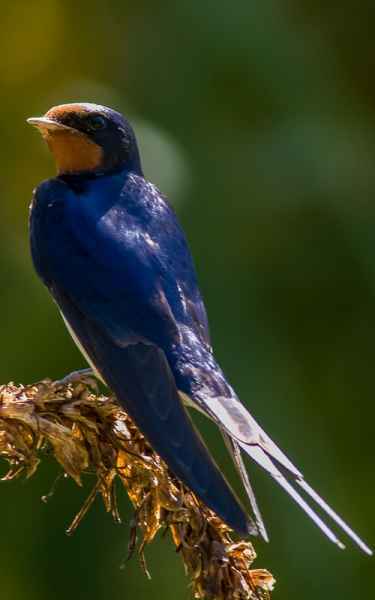 Its back is dark blue, upper wings black, red forehead and chin, blue upper-breast band and white chest, belly and vent. 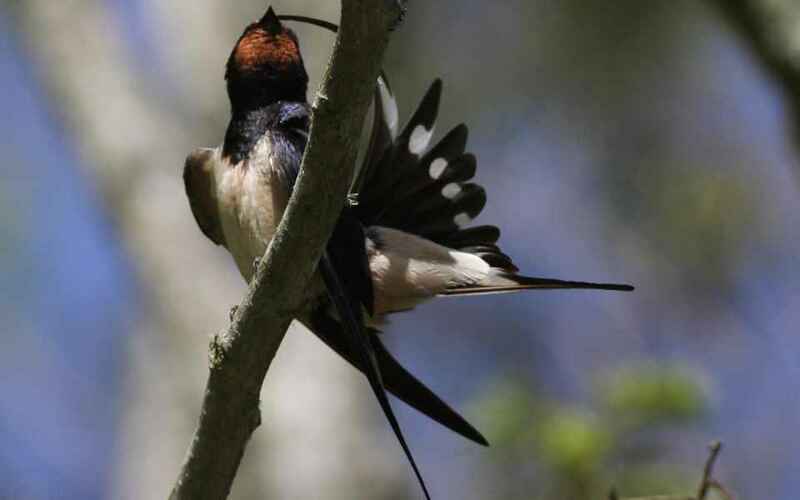 It has a long, forked tail, (with white windows observeable when preening). 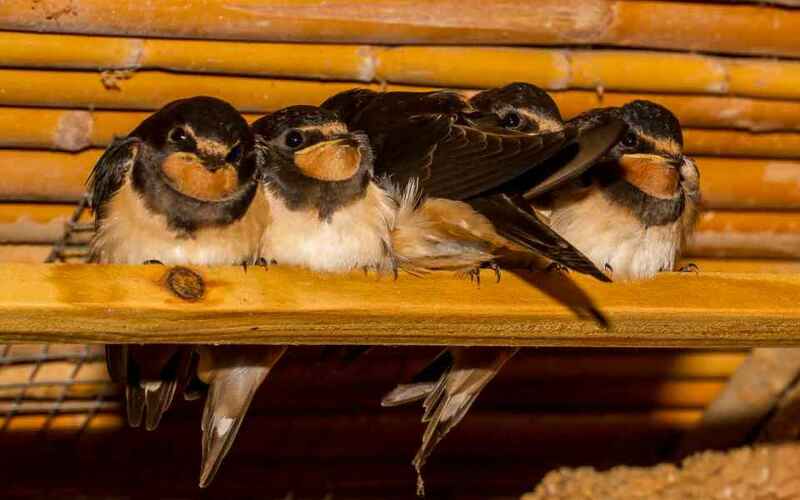 Juveniles migrate to Africa before the adults, leaving in July, a month before their parents who go at the end of August. 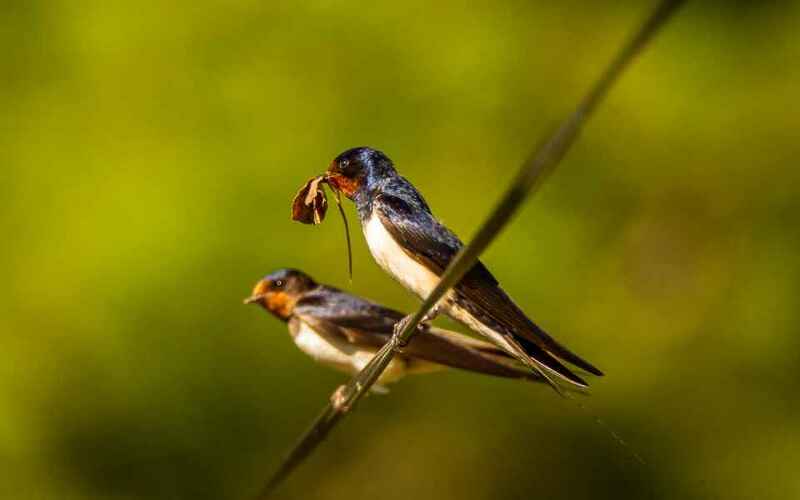 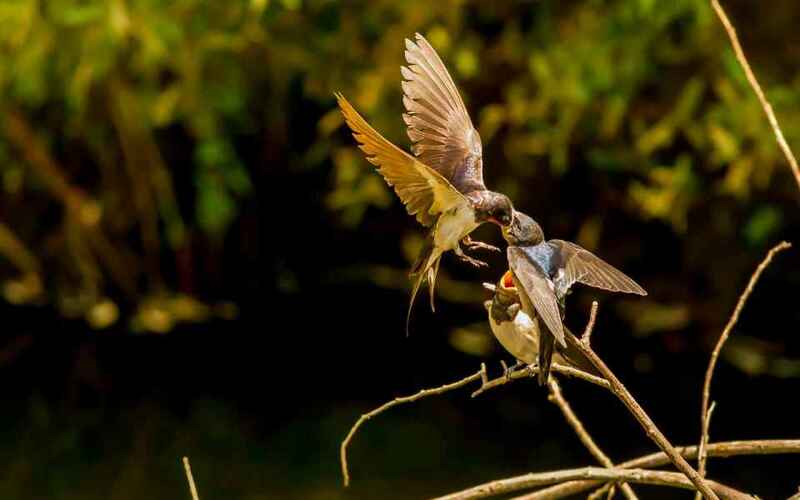 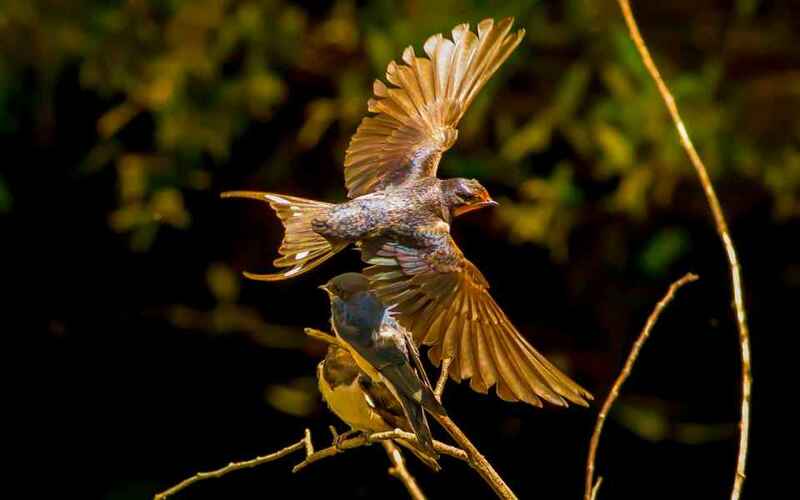 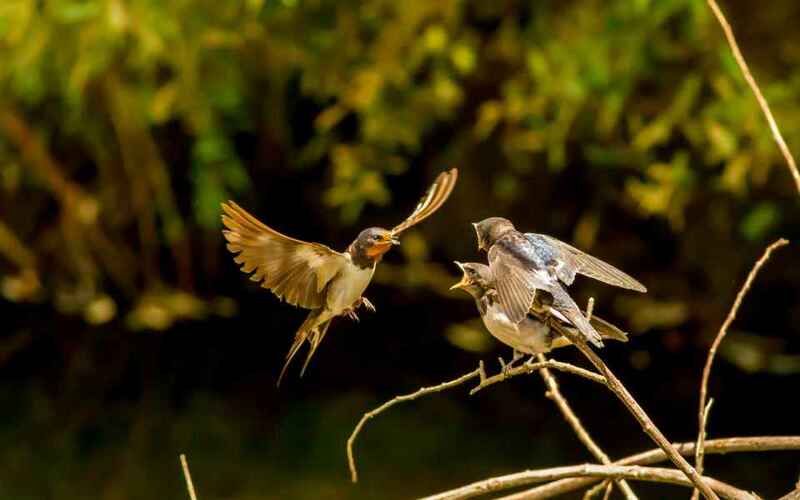 Males return to their birthplace while females disperse; however, a pair bonds for life and once the female has mated she will always return to the same site, though separate nests might be used for separate broods to avoid transfer of parasites from one brood to the next. 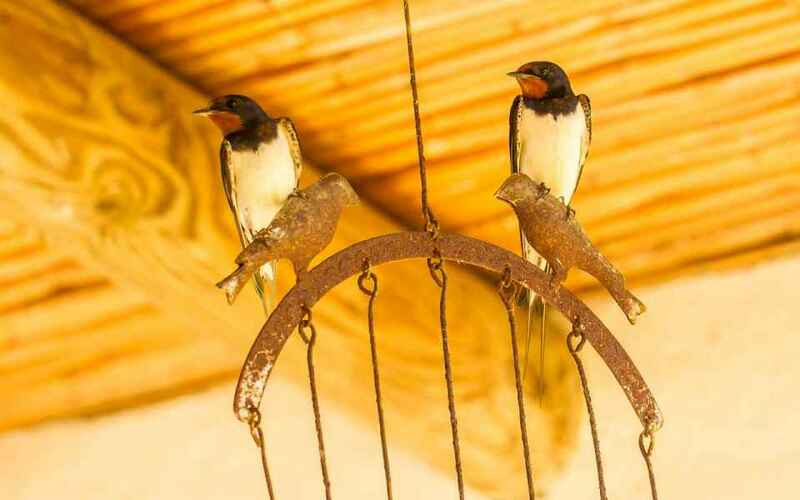 We regularly have them breeding at the Quinta with at least one pair nesting inside the dining room.